The Martin Yale 724 Stakcut 24" Guillotine Stack Cutter saves time and money. 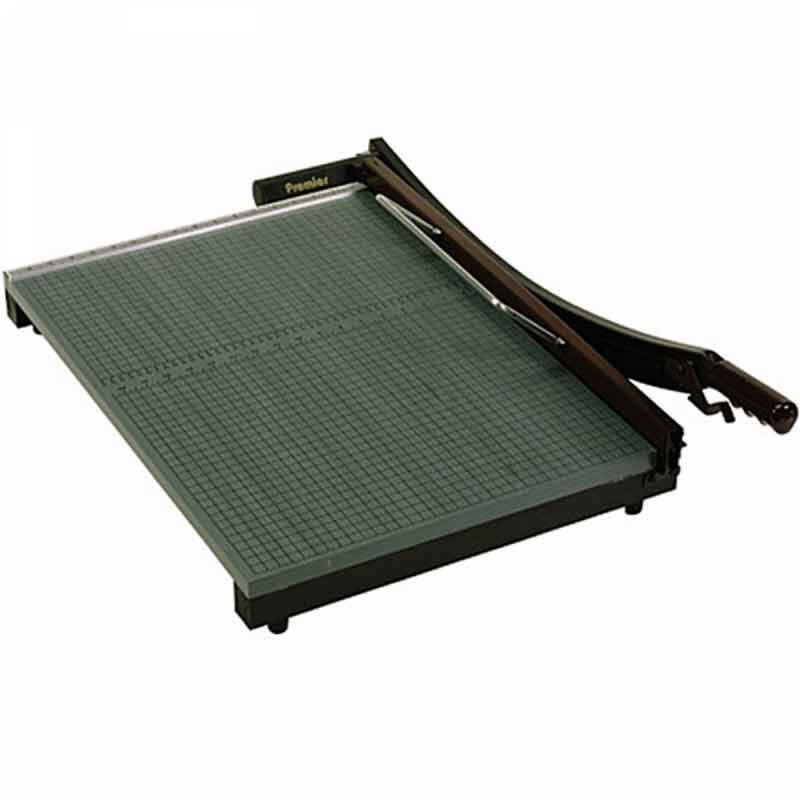 The Martin Yale Premier 724 24" Stakcut Paper Trimmer is one of the heaviest duty paper cutter available in market. It is an excellent choice for cutting paper, mat board, cardboard, film, tissues and textiles. If you need to cut flyers, covers, documents and promotional material of items for scrapbooking, the Martin Yale Premier 724 24" Stakcut Paper Trimmer will work exceptionally well. It comes with 24" long blade which is the best choice for cutting letter sized and legal sized documents. The Martin Yale Premier 724 24" Stakcut Paper Trimmer can cut up to 30 sheets of 20lb bound paper at once, with a heavy duty 3/4" thick base and it includes a high quality self sharpening stainless steel blade which is capable of cutting 24" in length and also it comes with numerous great safety features to keep you safe when cutting. Experience the Martin Yale Premier 724 24" Stakcut Paper Trimmer today.